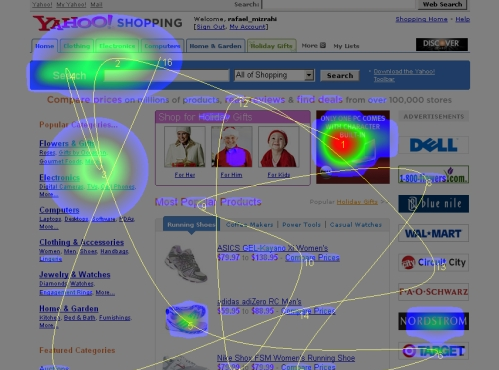 Web Page Heatmap is an image showing mouse movements and clicks by visitors on different areas of a page. As a web page can have different areas like Header section, Sidebar, Footer and Content. If you want to see the areas where visitors are clicking more and the area which is having maximum activity, then you should generate a heatmap of your website or web page. There are lot many ways and services to generate heatmap for webpages. If you want to use paid services which will definitely provide more detailed information then there are paid services available or you can use open source self hosted service as well. Open source webpage heatmap will be self hosted that means you will have to host the scripts on your server and then include the script code your html code to track the mouse clicks. Here is the a list of Open Source as well as Paid Web Page Heatmap generators. 1. ClickHeat – It is an open source heatmap generators comes in a package which needs to be uploaded on host server. After that you need to follow the instructions on screen for installation. Once he installation will complete, you need to paste the script code in your site’s template or HTML. Here is the options screen where you can change the values for different heatmaps of your site. For example, you can see daily, monthly, weekly heatmaps. It also shows heatmaps generated on different browsers that means visitors who clicked on site using different browsers. Listed browsers in ClickHeat are Firefox, Internet Explorer, Opera, Safari and Others. 2. Free Website Click Heatmap (DIY) – You can create your own Heatmap generator by using the code provided on this site. Code generated from this site may help you in tracking multiple domains as well. 1. 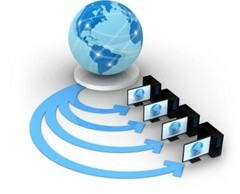 Clickdensity – 30 days trial period of Clickdensity is available. This is a paid heatmap generator service unlike above mentioned services and packages. 3. Feng-GUI – Using Feng-GUI, you can track the mouse movement and behavior of your site’s visitors. In the below image, you can see the mouse movement on Yahoo Shopping page. There are many other services and sources for generating a heatmap for a site. 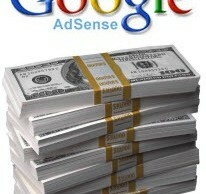 If you want to analyze your layout changes for the CTR (Click thru ratio) which will definitely help you in placing some important stuff or CPC Ads like Adsense then go ahead and generate Heatmap for your site using any of above services and packages. WordPress users can use Heatmap Plugin for generating heatmap for their self hosted WordPress blog.